MG SALES AND SERVICE has been helping friends and customers with their MG maintenance, spares and rebuilds for over 30 years. 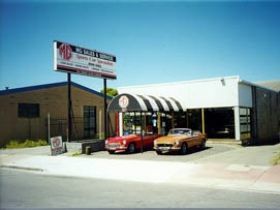 The business was founded by Bob Bassica who is a past president of the MG Car Club of South Australia and an honorary Life Member. On Saturdays mates used to bring their cars around to the house to be tuned and worked on and this evolved into setting up the business. 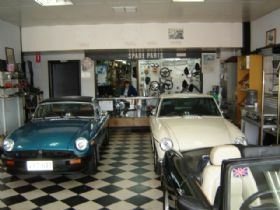 MG Sales and Service now supplies spare parts Australia wide and offers a comprehensive range of services to customers that have MGs, Austin Healeys, Triumph and XK and E Type Jaguars. The workshop is spacious, has three hoists and can handle up to ten customers cars. We have a staff of four that have in excess of eighty years experience between them working on all models of MG and other British classics. 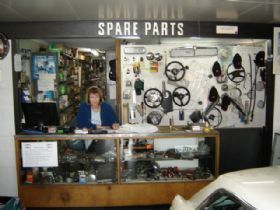 The services provided include spare parts, all forms of mechanical service and sales. 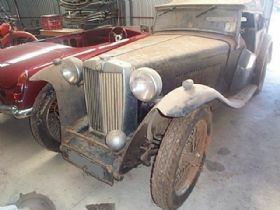 The spare parts carried for MG include anything you could possibly want to restore or keep your MG on the road. We also offer right hand drive conversions that can be fully installed in the workshop or sold to an enthusiast as a kit at very reasonable prices. Wheel balancing wire wheels is also performed on site. All spare parts for Austin Healey, Triumph and Jaguar can be sourced from reputable suppliers based on customer requirements. MG Sales and Service can also project manage any aspect of a project for a customer. We can oversee rust repairs, paint and panel work and any specialist requirement a customer may have. We also sell MG, Triumph and Healey on consignment from our secure retail showroom. A number of our customers have us prepare their cars for MG Car Club race circuit events, classic car rallies, Targa Tasmania and MSCA participation. The family are active members of the MG Car Club of South Australia and have numerous classic MG and British cars including a pre war J2 and MGKN along with a MGR V8 that serves as a daily driver, an Aston DB5 and an MGB V8 that is raced. If you are looking for spare parts or a competent workshop to provide a full range of services please have a look at our website, phone or drop into our retail showroom and we will be only too happy to assist you.